Can Bidding on More Than One Home Be a Good Idea? 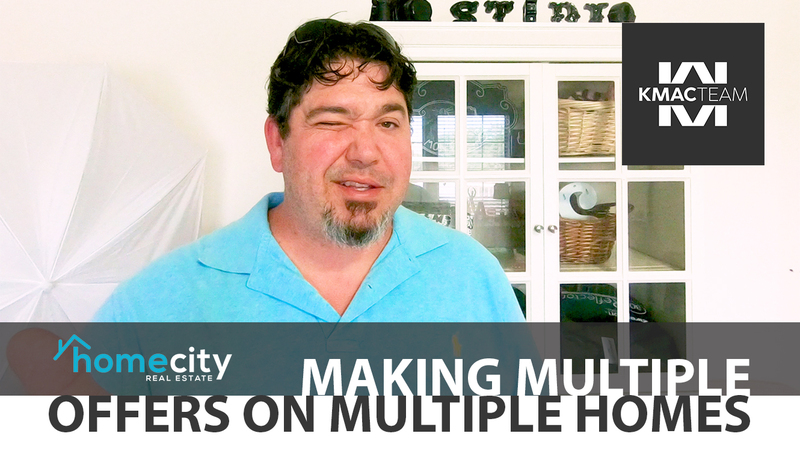 If you’re a buyer in need, is putting multiple offers on multiple properties a good idea? Here’s what you need to know. Today I want to talk about multiple offers, but not in the traditional sense of a seller receiving more than one offer on their listed home. I’m talking about buyers today—how can a buyer navigate putting out offers on multiple homes? There are some risks associated with doing this that are important to note. There are a few scenarios in which this strategy would be appropriate to use, but most agents would probably advise against it. Others, however, say that since sellers get multiple offers, why can’t buyers make them? Well, if there’s a house that you want in a given neighborhood, it’s probably the house you’re pursuing, so it might not make sense to make offers on other houses you’re less serious about. However, for investors, it isn’t uncommon to make offers on multiple properties. If they’re doing the 1031 exchange, they have to identify the right number of properties to the IRS during a short period of time, so they can’t really afford to wait and potentially lose one or all of the properties they’ve bid on. Investors engaging in this strategy must be prepared to perform under the contract and understand the unrestricted right to back out of the contract. "Making offers on multiple houses can be quite an ordeal for any side of the transaction, including yourself, but as long as you follow the contract, you’re good." Putting offers on multiple properties is also a useful strategy if you’re relocating. Supposing that you’re in town for a limited time, during which you need to find a home, you might want to place offers on more than one—the impact of being outbid could be very stressful in a lot of ways. So you might want to bid on more than one house, and just bid most aggressively on the house you want the most, with the others serving as backups. Making offers on multiple houses can be quite an ordeal for any side of the transaction, including yourself, but as long as you follow the contract, you’re good. If you have any questions about this scenario, please reach out to me. I’d be happy to discuss it with you. Last updated April 22 at 8:28 am.